Interested in getting more Horse Power & Torque from your car? Upgrading the software in your ECU can be as easy as a quick plug and play download which can take just minutes. 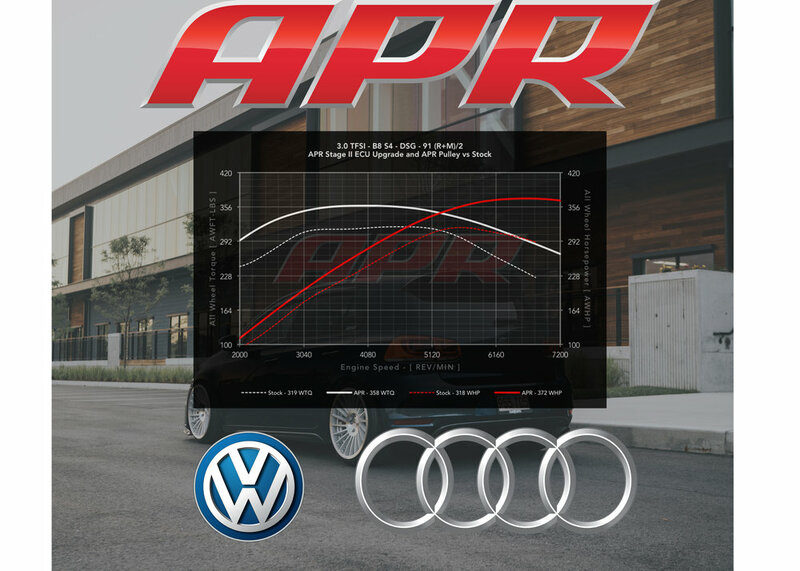 - ECU Tuning, in different Power Levels . The Cobb Accessport is the worlds best selling, most flexible and easiest to use ECU upgrade solution for your Car. 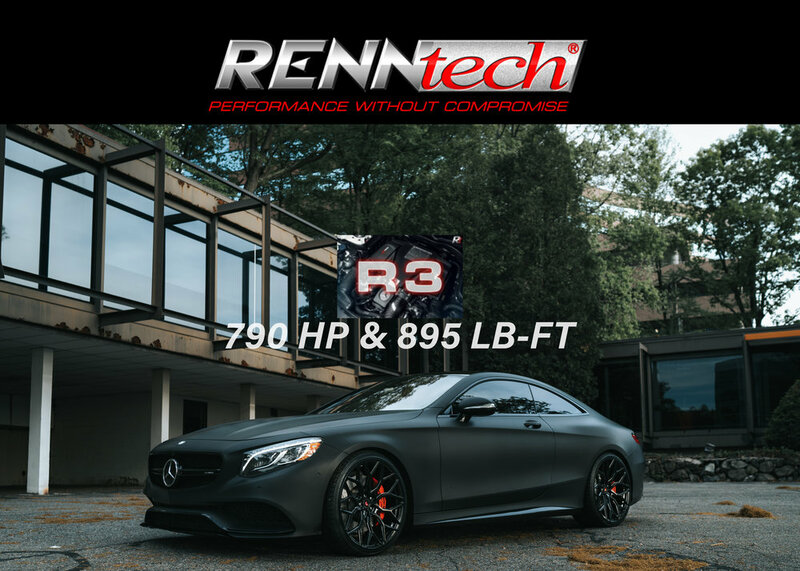 Unlock power hidden within the vehicle by replacing conservative factory settings with more aggressive calibrations. 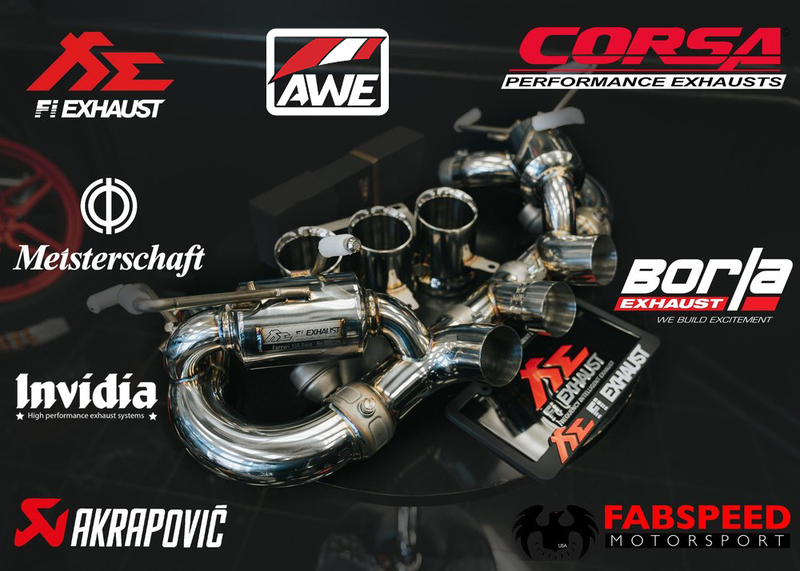 Available now for the following Manufactures: BMW, Ford, Nissan, VW, Mitsubishi, Subaru, Mazda and Porsche. 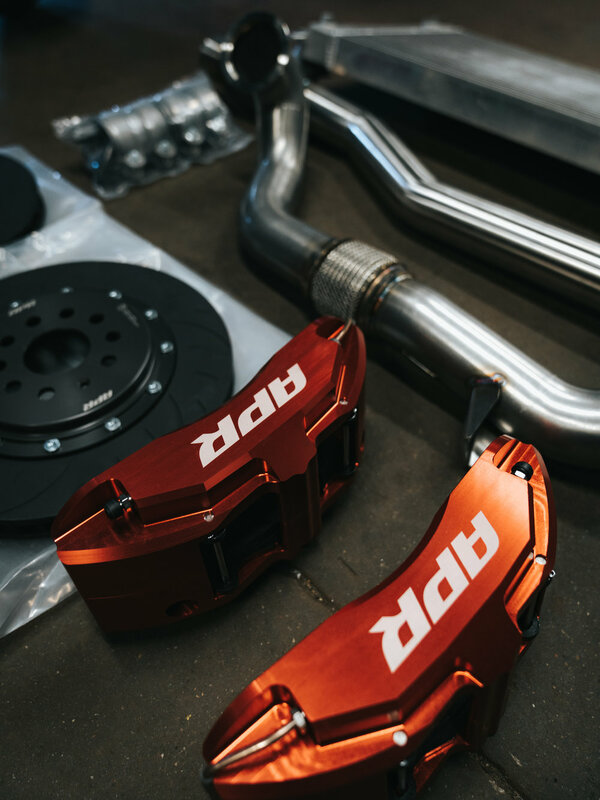 Stopping power is one of the most neglected aspects of a performance package. 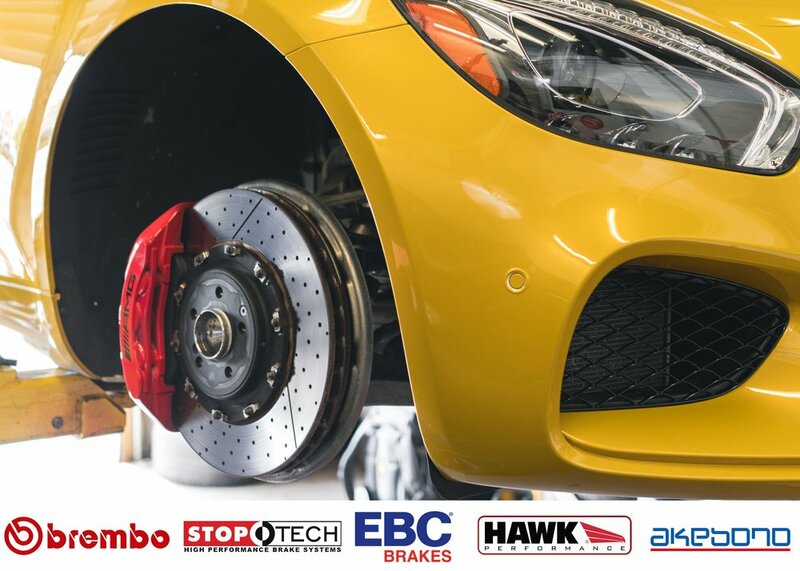 Keep your car in ultimate control with a big brake kit. 1 - Large Rotors increase heat capacity, allowing a driver to brake harder stop-after-stop with reduced chance of fade. 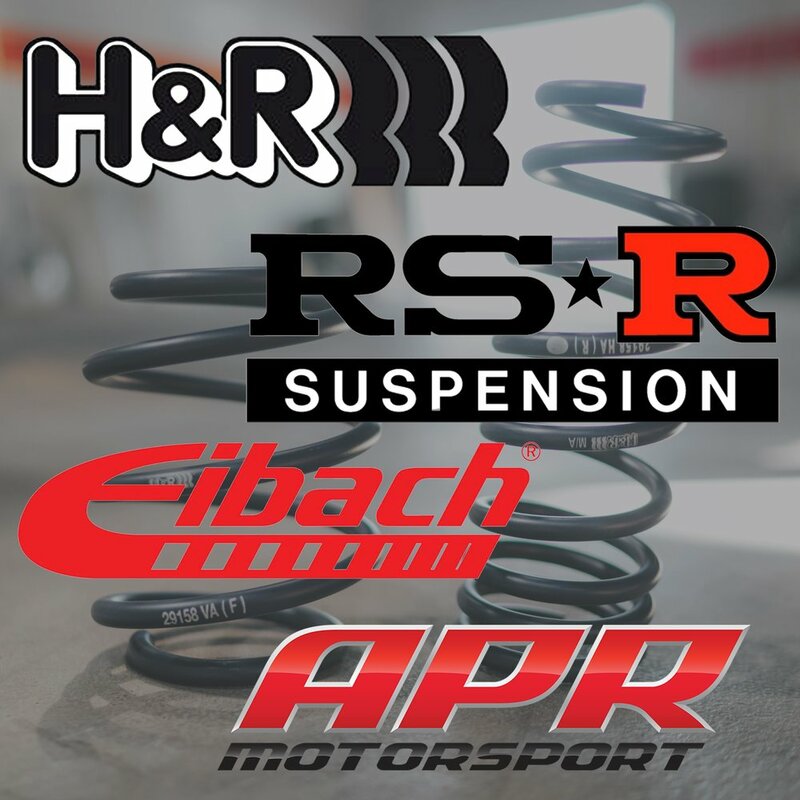 Suspensions from Factory may not always fit your needs or wants, so it is the job of our Professional and experienced staff to guide you in the direction which is best, to get your car or truck driving how you want. 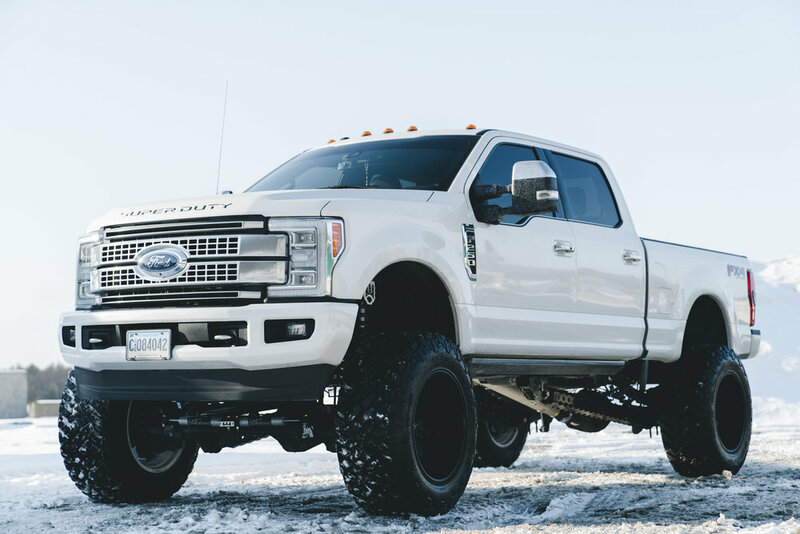 Air suspension is the only suspension option that allows you to easily adjust ride height on-the-fly with the touch of a button. - Adjustable height, at the press of a button. - Replaces old shocks/springs for a new feel. 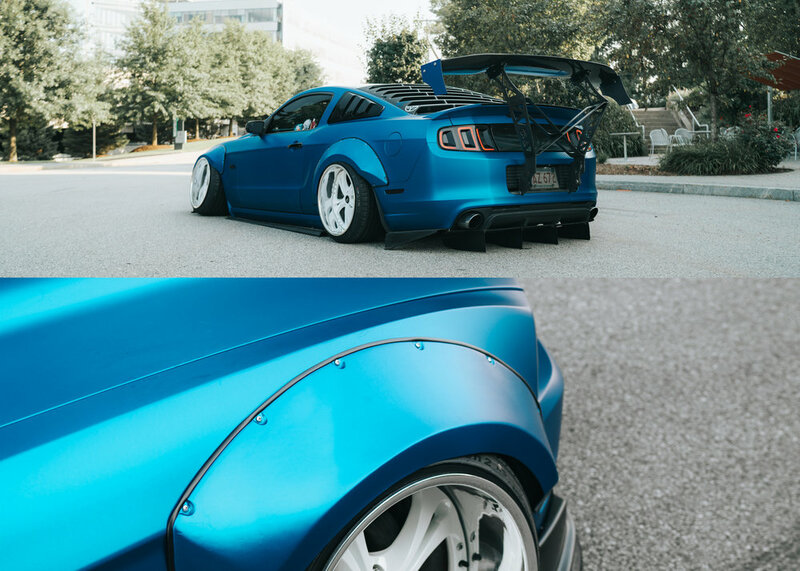 - Allows for EXTREME lowering. - Ability to raise vehicle to clear obstacles such as speed bumps, pothole etc. 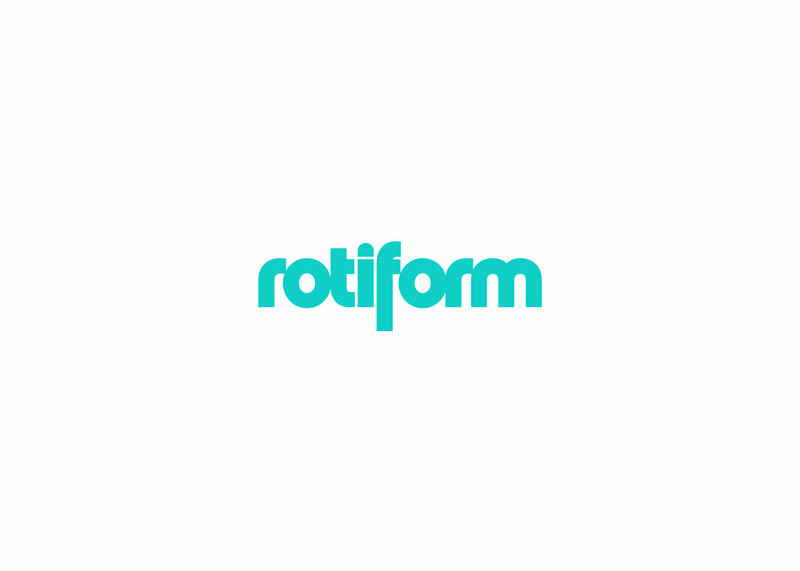 - Increased handling, Lower center of gravity. 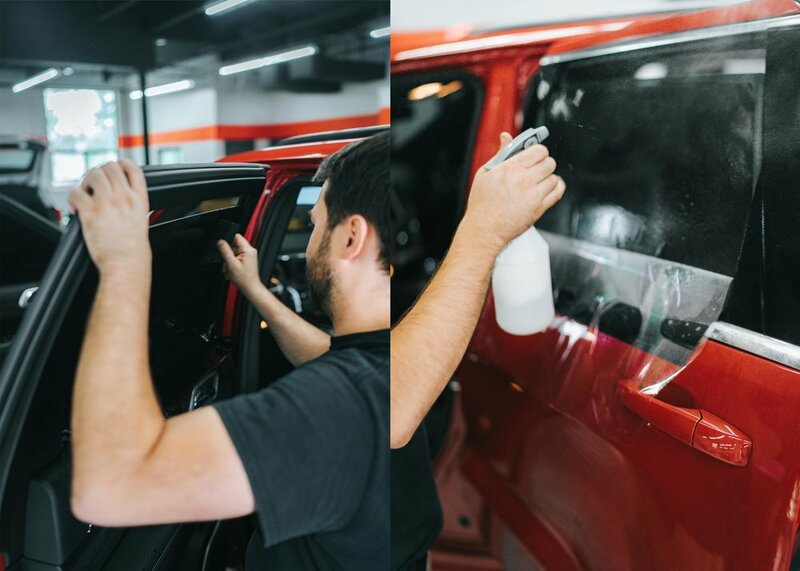 Special clear coat not only prevents the film from discoloring due to contamination and UV radiation, but also heals itself from swirl marks and light scratches that can occur through ordinary washing and drying or daily driving. The mirror smooth finish ensures that that no unwanted texture, commonly referred to as “orange peel“ shows through. Lets be honest, you chose a matte finish paint job to be different. Now protect that decision with XPEL STEALTH! 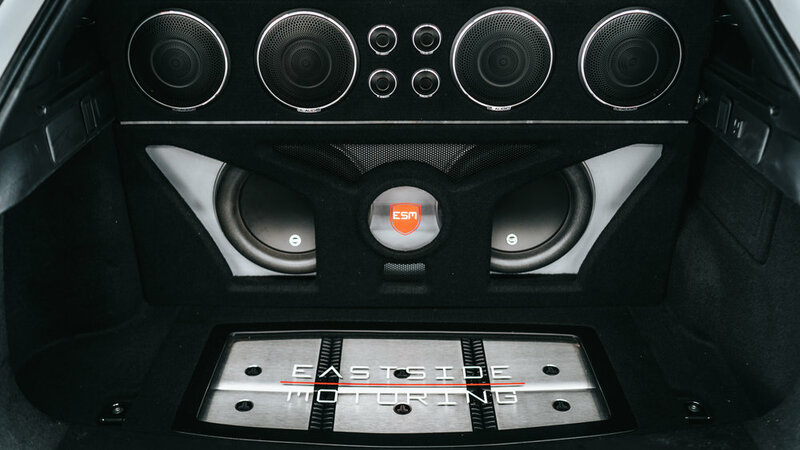 A cars stereo can be the heartbeat of your ride, and we want to be sure you will enjoy it. 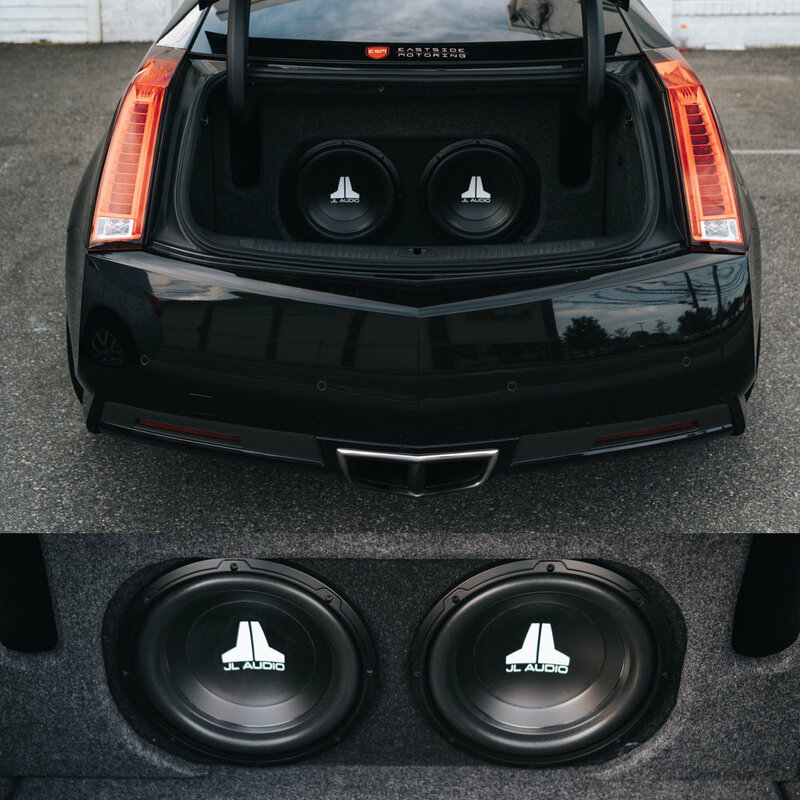 We offer many stereo upgrade solutions from adding a subwoofer, to installing a complete high end system including separate tweets, multiple amplifiers, and custom enclosures. 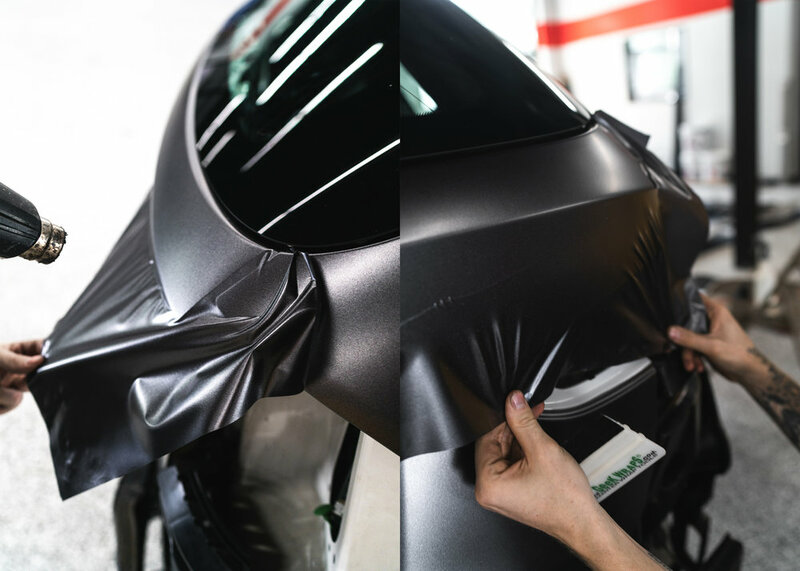 We can satisfy your needs from flashy, to stealth, depending on the look you are going for. Our staff can help you select the right equipment to meet your needs. 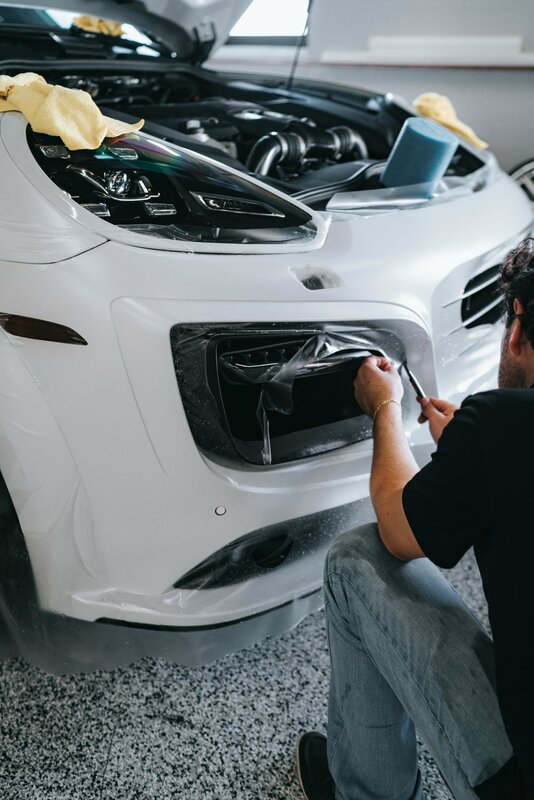 We have expert knowledge on what will sound best based on your vehicles space, and budget.